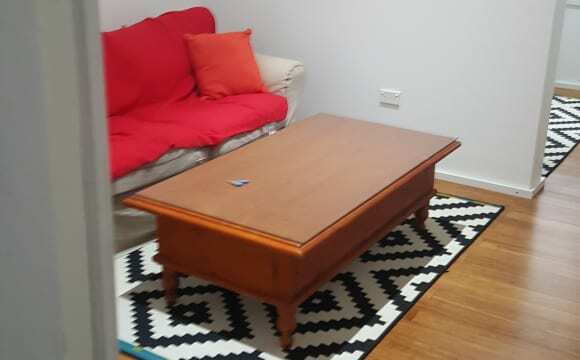 Private room available in a 2 bed room apartment in redfern. Will be sharing with me and my partner. We have our own bath room and you will have access to the main bathroom which will pretty much be your own. The apartment is a 8 min walk from Redfern Station and 2 min walk to woolworth. Lots of cafes and bars nearby! Takes 15 mins train ride to get into the cbd! This place is a spacious clean modern apartment with a huge heated pool and spa. 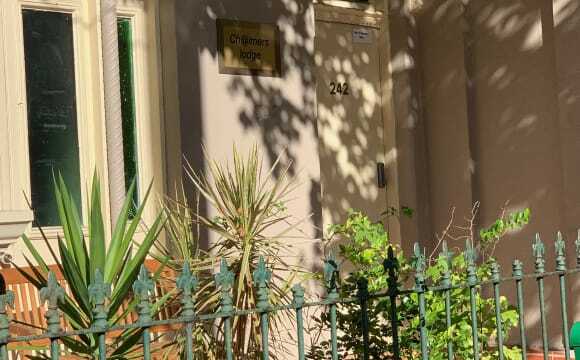 The location is amazing next to Redfern Park and literally next door to Woolworths and 8 min walk from Redfern station or 15 to Central station. Very easy to access all the bars, cafes and shops around Redfern, Surry hills, and Newtown. We are using bikes and uber's to get around so the car space is yours! The room has a built in wardrobe and access to the balcony with blinds and recently installed fly screens. You have your own bathroom as there is also an ensuite with the other bedroom. The ikea bed frame with heaps of storage pictured can be left in the room for a negotiated price. Available from early June onwards. A gorgeous terrace close to Redfern station, the University of Sydney and UTS, presented in immaculate condition, ready to move in. This fully furnished house, is tidy, clean and in excellent condition. All of the beds are new, with new mattresses. There are 2 freshly renovated bathrooms, a kitchen and a backyard. The advertiser does not live in the house at present. The house will have 4 people in total, usually. It has 1 single sized room, 1 king sized room (with shelving) and 1 double bedroom (with in built wardrobe). The house has 2 bathrooms. One of them can be given to the couple with the double bed. great property just fitted out all you need is your clothes. location is full of cafes and restaurant , Redfern Park is opposite 5minute walk to redfern station 12minutes to Central station. Its a furnished private room with its own tap and sink and fridge. 10mins walk to Redfern station and central station. Close to Redfern Park and Alfred park. 3mins walk to Woolworths 10mins walk to coles, chemist warehouse and crown street. lgbt friendly. It’s a boarding house without living room and everyone is in their own room, so you are basically living by yourself. Very private. Welcome to our large tri-level terrace house in Redfern =) We have an extremely large open kitchen that leads to on to a private garden and shed. In the next room, we share a cosy living room with two comfy sofas, a large flat-screen smart TV and unlimited high speed Internet that is included in the rent! The bathroom is on the second floor with large rain shower and loads of storage space, with a separate toilet just next door. The room we currently have available is large, light filled and has lots of storage space. It is right next to the living room (so you have the best Internet connection) and the first room as you enter the house for a bit more privacy. A small chest of draws, clothing rack and storage shelves and a small desk is provided. All you need is a bed. Our house is in a amazing location close to everything you need. We are just down the road from Woolworths and around the corner to Redfern main street that has amazing cafes and restaurants. Big bonus if your a fan of the rabbitohs as the train across the road in the local park. We are close to both Central and Redfern station, if your feeling really ambitious you can even walk to the Sydney CBD. If that awesome description did not sell you on this room, we are in a prime Uber eats location! We have a spacious apartment full of light during the day. We also have a bit balcony, which you can access from the room, or the living room. There is definitely space for a barbecue although we don't have one yet. We have 100 Mbps internet connection. We have 65" TV with Netflix, 360 xbox and PlayStation 3. We have a dishwasher, washer machine, and dryer. We split bills, internet is 60 AUD per month (30 each), and electricity is around 120 per month (60 each). There is also a parking spot available for 15 per week. 5 mins walk to Woolworths. 10 mins walk to Prince Alfred Park. 10 mins walk to the Train Station. A bunch of restaurants around. DOUBLE BED PRIVATE ROOM. 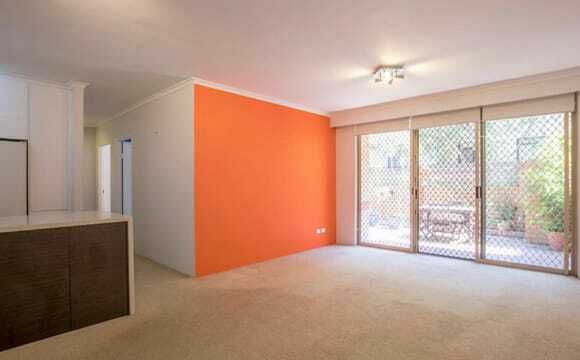 REMODELED HOUSE WITH A BEAUTIFUL KITCHEN 3 MIN WALK TO REDFERN STATION. SWIMMING POOL, SHOPS, CAFES AND RESTAURANTS AROUND. This is an amazing property which features a pool,gym,sauna. Also has air conditioning in the living area which is great for them hot summer days. 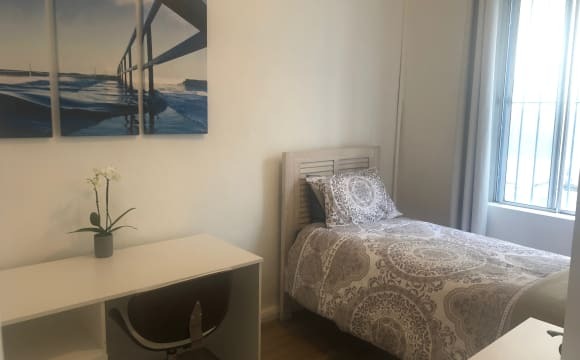 Hi guys, I have a room available from 18th/04/2019 for a couple or two friends, its a beautiful bright bedroom in a 3-bedroom flat for rent in Redfern, 5 min walk to the train station. Street full of cafes and convenience store very close. The flat is very pleasant and extremely functional: there is a laundry room with a washing machine + dryer, a dishwasher, and everything you need to enjoy your stay here. It is composed of a fully-equipped kitchen, a laundry room, a bathroom, 3 bedrooms and a nice living area. The room is fully furnished, bed, side tables, and it has wardrobe, two big windows, with nice natural light all day long, it also has walk in wardrobe, perfect for a women . Swimming pool in the complex. $480 for the whole room or $240 per person per week. 2 weeks bond Minimum stay 3 months (you can replace with another before). Feel free to contact me if you are interested. Hi guys, I’m looking for a guy to share a beautiful bright double bedroom in a 3-bedroom flat for rent in Redfern, 5 min walk to the train station. Street full of cafes and convenience store very close. The flat is very pleasant and extremely functional: there is a laundry room with a washing machine + dryer, a dishwasher, and everything you need to enjoy your stay here. It is composed of a fully-equipped kitchen, a laundry room, a bathroom, 3 bedrooms and a nice living area. The room is fully furnished, bed, side tables, and it has wardrobe, two big windows, with nice natural light all day long, it also has walk in wardrobe, perfect for a women . Swimming pool in the complex. $210 per week. 2 weeks bond Minimum stay 3 months (you can replace with another before). Feel free to contact me if you are interested. 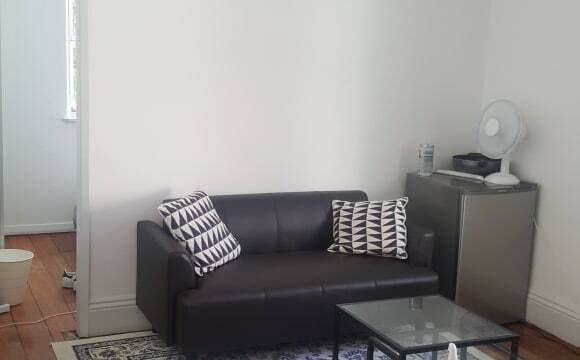 Hi guys, I’m looking for a guy to share a beautiful bright double bedroom in a 3-bedroom flat for rent in Redfern, 5 min walk to the train station. Street full of cafes and convenience store very close. The flat is very pleasant and extremely functional: there is a laundry room with a washing machine + dryer, a dishwasher, and everything you need to enjoy your stay here. It is composed of a fully-equipped kitchen, a laundry room, a bathroom, 3 bedrooms and a nice living area. The room is fully furnished, bed, side tables, and it has wardrobe, two big windows, with nice natural light all day long. Swimming pool in the complex. $210 per week. 2 weeks bond Minimum stay 3 months (you can replace with another before). Feel free to contact me if you are interested. Currently offering 2 vacant bedrooms, in newly renovated apartment with brand new bathrooms and carpet. Modern apartment with large kitchen and living area . Medium size balcony. Bathrooms brand new with shower and bath. Close proximity to Redfern train station, Redfern St bus services, Woolworths, Redfern Park, cafes and restaurants. There is a gym 2 mins walk from the apartment and a Woolies just a block away. Located in One of Sydney's most vibrant locations. A short walk to Redfern train station (8 minutes), bus stops, cafes and shops and the city nightlife, the stunning two bedroom apartment offers space and convenient city living. Open plan living area with a substantial terrace Brand new kitchen with stainless steel appliances Spacious 2 bedrooms with built in wardrobes Modern ensuite leading off the Master bedroom Main bathroom with stand alone bath and spacious shower Secure building complex with intercom and underground car space Short walk to transport, Redfern Park and surrounding cafes. HUGE PRIVATE BEDROOM / GREAT LOCATION!! Located on Redfern Street nr George Street. Two large bedrooms, one bathroom and open plan living with high ceilings and a balcony looking out over the city skyline, gushing sunlight through out the apartment during the day. In the heart of Redfern, public transport is at our door step. Redfern train station is 3 minutes walk away, cafes, restaurants and small bars in every direction. Just a 20 minute walk to the City centre, 15 minutes walk to Crown Street. 5 minute walk to Prince Alfred Park and 10min walk to Central Station. Fully furnished with all amenities included. Kitchenware, Washer / Dryer ETC. Bedroom includes: Double bed, 2x Bedside tables, chest of drawers, 2x Clothes storage wracks and a small mirror. TRAVELLER? Travellers have worked out great in the past, so more than welcome! Unlimited WIFI and NETFLIX included. Very comfortable, very well-equipped, very functional own room. Furnished. 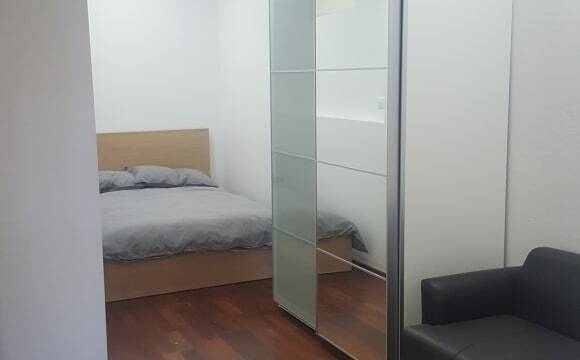 Small furnished room avail in out large terrace five minutes walk from Central Station. The room comes furnished with a king single bed and large wardrobe. It’s $235pw, plus $25pw for bills including cable wifi and electricity. So $260pw altogether. It’s avail from 26th April. The rest of the house has just been renovated and features a lounge/dining room, kitchen and bathroom. The house is a 5 minute from Central or Redfern Station. We all work full time, but appreciate each other’s company when we are around. Please message me if you would like to take a look.